You've probably heard that there's going to be a solar eclipse which will be visible from much of the United States on August 21, 2017. Beginning about 9:00am Pacific time off the coast of Oregon, the Moon will begin eclipsing the Sun and it will pass across the continental U.S. Depending on what state you live in, you may see a full or partial eclipse. NASA has information about where and when to observe the eclipse. A solar eclipse occurs when moon passes between the Sun and the Earth, causing a shadow to fall on the the surface of the Earth (blocking the Sun's light). Why are scientists so interested in a total eclipse? First of all it is an opportunity to study the area of plasma flowing around the sun called the solar corona. Normally it is difficult to see the solar corona because it is obscured by the bright light of the sun itself. 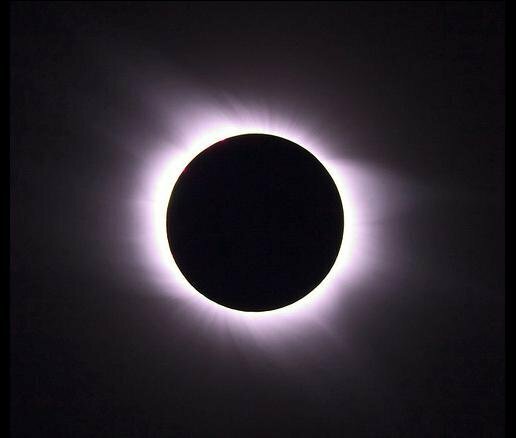 During a total eclipse, however, that light is blocked and the corona is visible, which allows people to observe and study it. It is also an opportunity to examine the effects of limiting solar radiation on a smaller scale than occurs when the sun goes down at night. Why doesn't everyone in the path see a total eclipse? It turns out that when light hits an object, the shadow is not uniform. 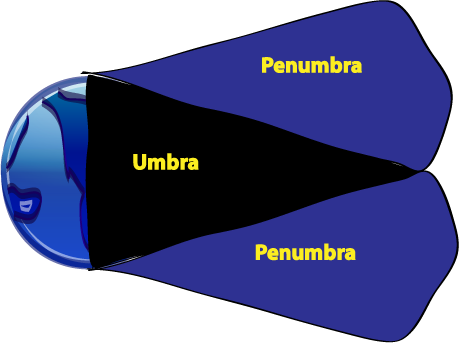 The dark center shadow, called the umbra, gets narrower further from the object blocking the light. Only areas in the path of the Moon's umbral shadow will see a total eclipse. The lighter penumbra shadow gets wider behind an object. Areas in the path of the Moon's penumbral shadow will see a partial eclipse. Are you going to miss the 2017 eclipse? Don't worry, the next total solar eclipse will be April 8, 2024, passing over the eastern half of the U.S. This summer take advantage of some of the great science activities relating to the solar eclipse. If it passing over your area, visit events hosted by local planetariums and astronomy groups. You can also participate in citizen science projects. The Sanford Solar Center has tips for observing the sun safely and suggested activities. California Academy of Sciences has a citizen science project observing behavior of animals during the eclipse (uses the iNaturalist App). The GLOBE Program has research looking at the impact of Sun's radiation on the Earth's surface. Citizen scientists record air and surface temperatures before, during, and after the eclipse (uses the GLOBE Observer App). Includes instructions for building a wind monitoring device. These books feature short sentences and carefully-controlled vocabulary. See a preview at Google Books. Go See the Eclipse explains what an eclipse is, and gives specific advice on where to go, what to take, and how to prepare. Also contains personal anecdotes about the thrill of viewing a total eclipse. Interested in reading more? 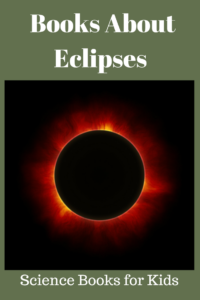 Check out our growing list of books about eclipses at Science Books for Kids.